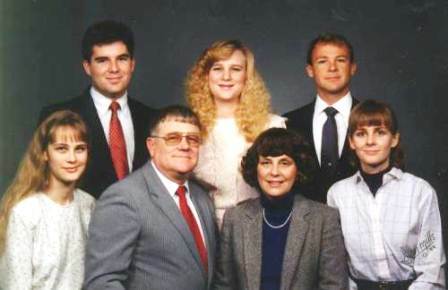 Born in 1937, near McFall, in Daviess County Missouri, Captain Shreckengaust grew up in and around Pattonsburg and graduated from high school there in northwest Missouri. He earned a Bachelor of Science degree with a major in mechanical engineering and a regular commission in the U. S. Navy from the University of Missouri in 1960. His first tour of duty was aboard USS Mitscher (DL 2), home ported first in Newport, RI, then in Charleston, SC, then back to Newport. He qualified as Officer of the Deck and Command Duty Officer and held every division officer and principal assistant position in the weapons department. This tour included one nine-month deployment to the Mediterranean. During the summer-of-1963 he transferred to Corvallis, Oregon, for two years of instructor duty at the NROTC Unit Oregon State University. After another trip across country he reported on board USS Jonas Ingram (DD 938) in Mayport, FL as Weapons Officer. This tour included two six-month Mediterranean deployments, one being spent mostly in the Middle East Force. At year’s end 1966 he was en route to Vietnam where he completed a tour as Commander, River Division 521. The division was first stationed at Sa Dec in IV Corps, patrolling from there to the Cambodian border. The unit then embarked in USS Hunterdon County (LST 838) on the lower Ham Long River in IV Corps. From there they moved to PBR Mobile Support Base One in I Corps where they patrolled the Hue River through Tet 1968. Monterey, CA was his next destination where he earned a Masters Degree in Computer Systems. By the end of 1969 he was en route to Yokosuka, Japan. Arriving in January 1970, he reported on board USS Waddell (DDG 24) as Executive Officer. During the next nine months the ship spent a great deal of time on the gun line off the coast of Vietnam before changing her homeport to San Diego, CA. After three months Waddell changed homeport to San Francisco for an overhaul at Hunter’s Point Naval Shipyard. Upon completion of the overhaul Waddell then moved back to San Diego. In September 1971 he transferred to the Naval War College at Newport, RI where he completed the Command and General Staff course. Then Lieutenant Commander Shreckengaust proceeded to Norfolk, VA where he assumed command of USS DuPont (DD 941). This tour included an eight-month deployment to the Mediterranean. 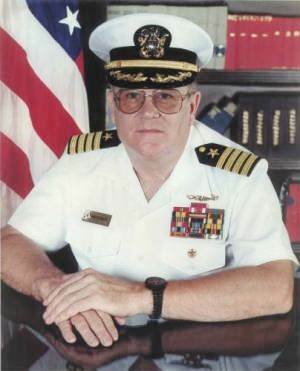 In 1974 he was transferred to the Bureau of Naval Personnel as the Assistant Surface Commander Detailer and Director of Automated Data Processing for Officer Development and Distribution. He was again en route to Japan in late September 1977. Arriving in Yokosuka in early November he relieved as Executive Officer USS Oklahoma City (CG 5), the flagship of Commander Seventh Fleet. The ship typically made four eight-week deployments and three two-week trips each year for the fleet commander to visit allied nations around the Pacific littoral. In October 1979, then Commander Shreckengaust relieved as Commanding Officer USS Oklahoma City (CG 5) and steamed the ship to San Diego for decommissioning. In January 1980 he reported for duty in the Navy Section of the US Army Command and General Staff College, Fort Leavenworth, Kansas. His selection for promotion to Captain was announced in April 1981 and he was immediately transferred to Diego Garcia, BIOT as Commander, Near Term Prepositioning Force and CTG 73.7. The ships in this task group carried everything from food, water, fuel and ammunition to runway mats, an air control facility and a field hospital to support a 13,500 Marine Amphibious Brigade for 30 days plus significant quantities of US Air Force and US Army munitions (some 20 million pounds net explosive weight). Upon being relieved in July 1982 he picked up his family in Fort Leavenworth and reported for duty as Commanding Officer Navy Manpower and Material Analysis Command Pacific in San Diego, CA. This was followed by a tour as Assistant Director for Information Systems for the Deputy Chief of Naval Operations for Manpower and Personnel (OP 01). Captain Shreckengaust then went back to sea as Commander, Maritime Prepositioning Ships Squadron One. MPS 1 was the follow-on to the Near Term Prepositioning Force and was in place to support short-notice operations in the Mediterranean area during 1985 and 1986. He then reported to CINCLANT/CINCLANTFLT in Norfolk, VA as Deputy Inspector General for his final tour before retiring in June 1990 after 30 years of service. His awards include the Legion of Merit, Bronze Star with “V”, Meritorious Service Medal (fifth award), Navy Achievement Medal, Combat Action Ribbon and Presidential Unit Citation. Captain Shreckengaust is married to the former Shirlene Huntsberger of Enid, Oklahoma. They have three daughters, Jill, Robyn and Karen. They have three granddaughters, Alexandra Simmons, Katherine Simmons and Sarada Lakamsani.